Take Advantage of Easter with Some Fun Social Posts! - CAYK Marketing Inc.
Take Advantage of Easter with Some Fun Social Posts! Can you imagine a good marketing strategy without social media? Neither can we. It’s the linchpin of day-to-day interaction between people online today, and it’s especially powerful when you make it fun! Holidays are the perfect opportunity for this, so let’s take Easter as an example. Before we dig into the specifics of Easter-themed engagement, it’s important to get a solid grip on the fundamentals of seasonality when it comes to social media in general. One of the surest ways to get your audience to completely disregard you and your brand is to keep your online presence generic all year round. Not only does it illustrate a lack of creativity, it also leads people to believe that your presence is synthetic and automated, with no relevance to the real world. The way you implement your platforms should be as dynamic as the world we live in. Seasonal characteristics shape daily life, and this should be reflected in your profiles. Easter is one of those holidays that can really liven up the spaces we spend our time in. The advent of spring gets us excited about more sunshine, blooming flowers, and new beginnings. Even the distinct pastel colour palette lends itself to a vibrant atmosphere that can really snap us out of the winter blues. These are the kinds of details to keep in mind. Are you decorating your headquarters? Take photos around the office of your staff and show what a great environment you’ve built. Hide eggs for the kids in the community who come by with their parents. Don’t forget what a difference it can make to share fun, seasonally relevant content! 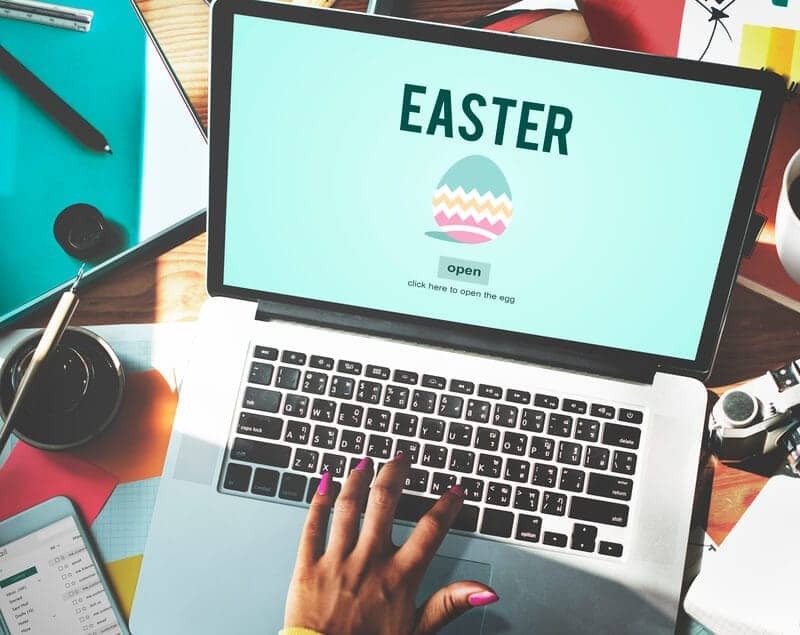 We’re focusing on Easter here because it’s just around the corner, but you shouldn’t consider this to be an exceptional occasion in the routine operation of your social media strategy. No matter what time of year it is, chances are pretty good that there’s some way you can maximize the relevance of your engagement and make things as varied as possible. It could be during other major holidays, such as Halloween or Canada Day, or it can relate to local community events in Calgary. The core principle is to stay dynamic and maintain the interest of your followers. Make your online presence, both on social and elsewhere, one to remember! Is your company’s social media activity blending in with all the others, or have you found a way to stand out and draw in new leads? It’s not always easy to build a unique presence, but with the right help, it’s a lot easier. Call the CAYK team at (403) 456-0072 to get started today!